Apple has purchased the rights to the world screening of Ed Sheeran’s documentary Songwriter. The documentary was screened on Monday (April 23rd) at the Tribeca Film Festival. Apple then scored rights to the documentary of the English songwriter for an auctioned sum reportedly in the “low to mid-seven figures,” Deadline reports. Murray Cummings helmed the film from the director’s chair. As an interesting fact, he seems an apt and trustworthy source on his subject, as he is actually none other than Sheeran’s cousin. His movie follows Sheeran’s career, portraying topics such as how the artist composes his songs and his musical progress as he has become one of the most recognizable musicians in his current industry. He is also often found sweeping the Grammys with his music. As of now, it seems that fans have two courses of action if they want to see the movie: either they can wait until it’s available to watch via iTunes or they can see it in cinemas, where Apple aims to release it. 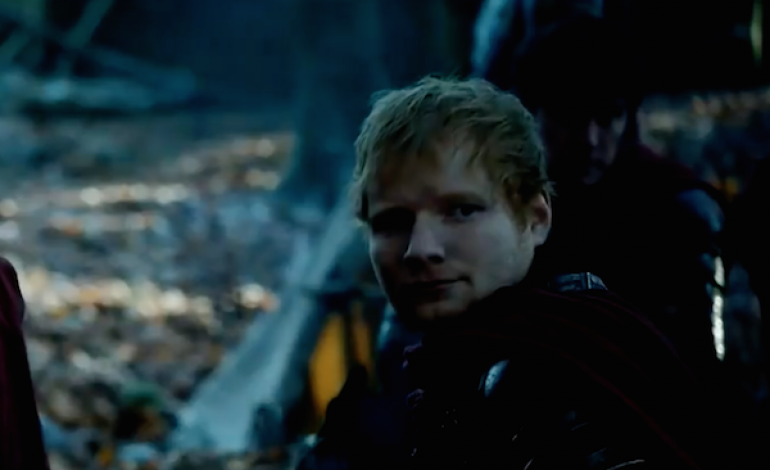 This is not Sheeran’s first time onscreen. He also appeared briefly in Game of Thrones, and it looks like this new deal is far more well-received.